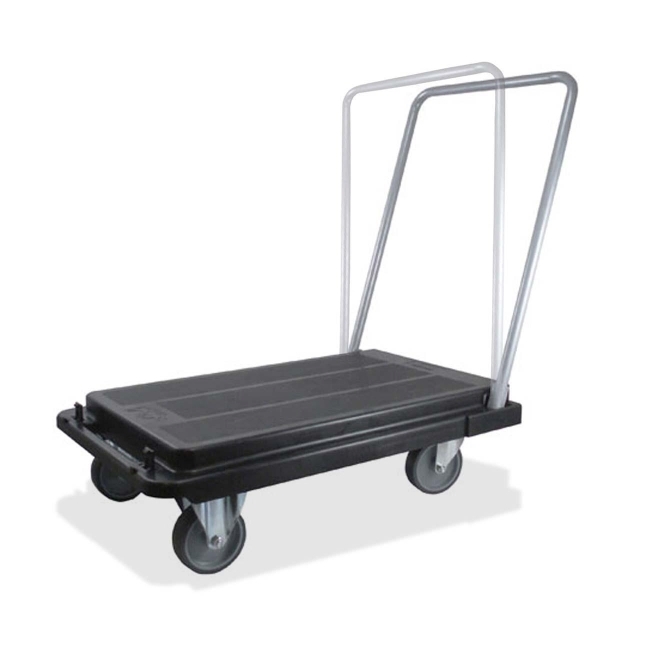 Deflect-o Platform Hand Truck - 21" x 32.75"
Heavy-duty platform cart features a three-position handle that lets you push, pull or use cart as a dolly. Folds completely flat for easy storage. Built-in handles make folded cart easy to carry. Built-in ridges are designed for securing tie-down straps. Nonskid, impact-resistant surface will not rust or splinter. Nonmarking casters include two swivel and two locking.